Television was introduced in 1931 in France, listing the country as one of the 1st countries to broadcast television programs in the world. 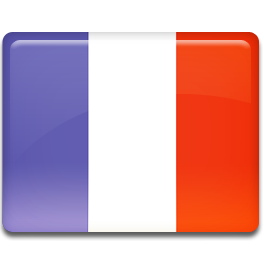 Color television was introduced in the year 1967 on La Deuxième Chaîne and France became one of the 1st countries to show color television broadcast in Europe. The national digital terrestrial television service operating in the country is known as Télévision Numérique Terrestre. It was launched on Mar 31, 2005 after a small testing period. It offers numerous new channels and current terrestrial television stations like Freeview in United Kingdom. France also makes use of DVB-T as a transmission technology like the rest of Europe. The digital terrestrial television services were estimated to cover at least 95% of the French metropolitan population by the year, 2012. There were 5 HD channels, with 4 free to air and 1 subscription based, that launched in Oct, 2008 using the H.264 format. Pay television channels were started in Sep, 2005 that utilized the MPEG-4 format unlike most of Europe which is currently using MPEG-2. The free live TV streaming is also showing up in the country. H.264 is the format used among the pay per view terrestrial channels in the country. TNT is the 1st service to implement Dolby Digital Plus with an audio codec on its HD channels. Users have to purchase a TV that supports both H.264 MPEG-4 and DD+ to benefit from HD channels. Analogue broadcasts were stopped on 30 Nov, 2011 on all platforms including satellite and terrestrial in the country. Overseas departments like Martinique and French Guiana also switched off all analogue broadcasts on the same date.